Lunges are a great way to tone the legs, as well as stretch them. As you become more confident with the basic lunge, you can start to add in variations, such as frontal or lateral raises with the arms. 1. 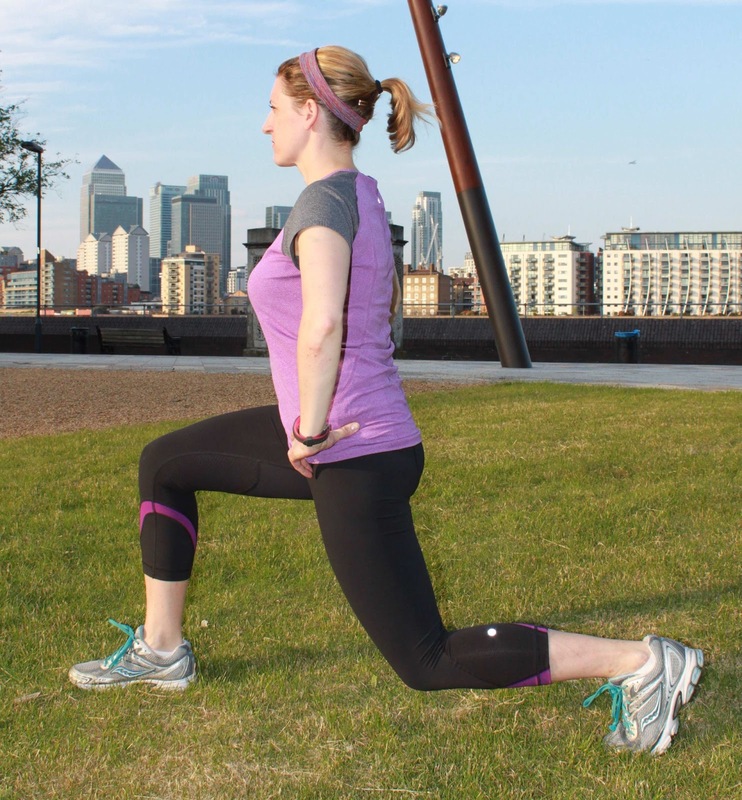 Stand with legs hip width apart. 2. Step forward with one foot and keep toes pointing forward. 3. Lift the heel of the back foot off of the ground. 4. Sink your back knee towards ground without touching. Do not lean forward. 5. Keep front knee over ankle and behind the edge of the toes to avoid injury. 6. Exhale as you stand up by straightening legs. You can leave back heel off of the ground.